To improve the quality of primary school education by incorporating interactive, child-friendly teaching strategies into the Teacher Training College curriculum and to improve the effectiveness of classroom teaching practice by training teachers in interactive teaching strategies with minimal resources. In 2002, the International Baccalaureate Organization/ Asia Pacific (IBAP) was asked by the Cambodian Ministry of Education, to provide training workshops featuring modern, interactive teaching strategies. In September 2002, four PYP trainers, under the leadership of Ron Auckland, IBAP, PYP manager, conducted 2 one week workshops at the Phnom Penh Primary Teacher Training College, and the Takeo Primary Teacher Training College. Fifty participants were selected from each workshop. They were T.T.C. Directors and Trainers from across Cambodia. the workshops received very positive feedback, and as a result, the IB decided to offer a long term commitment to the Cambodian Ministry of Education, Youth, and Sport (MOEYS). In 2003, a 3 year Memorandum of Understanding (MOU) was signed between the IB and the Royal Government of Cambodia, MOEYS. 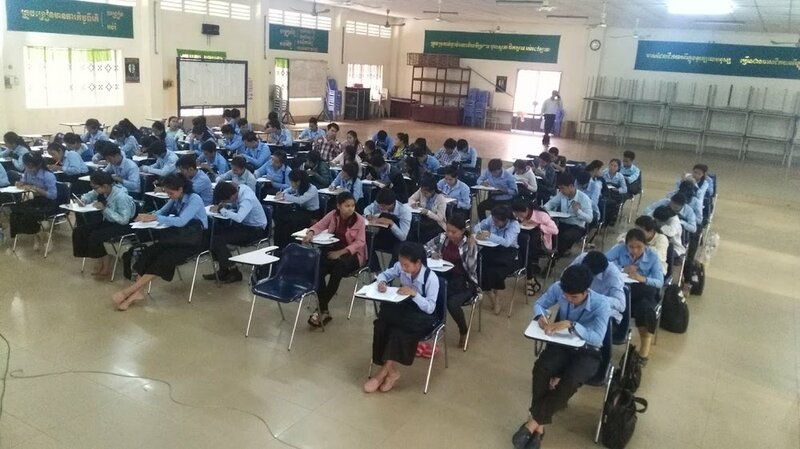 The Ministry selected the Kandal Primary Teacher Training College, and four primary schools, to be part of the project. In September, the first workshops were held in Kandal. All mentor (classroom teachers from the 4 primary schools, school directors, and T.T.C trainers, participated in an intensive, interactive 2 week session emphasizing hands-on strategies and activities in every subject area. These workshops have continued annually, with the same group of participants and focusing on different aspects of a “child friendly” curriculum. Initially, IB provided workshop leaders from around AP region. In recent years, these sessions have been led by our local leadership team. In 2004, the first demonstration lessons were presented by experienced international educators in every grade 1-6 class that had student teachers. These lessons have continued every year, with many Partner Schools providing master teachers to prepare and deliver lessons based on topics suggested by the mentor teachers, connected to the Khmer curriculum. ISPP, Victoria Shanghai, Queenwood, Ivanhoe, Branksome Hall To/ Branksome Hall/ Asia, have all sent teachers. Many of these lessons are now being replicated by our mentor teachers for new student teachers and new classes of children. Complete “kits” of most demonstration lessons are housed in the Resource Center for the use of both T.T.C. trainers, and mentor teachers. Unesco Cambodia funds publication of our guidebook. A practicum/seminar course was introduced as the TTC based on a “Teacher Friendly Guidebook for Child-Friendly Schools” developed by IB personnel. First cohort of student teachers begin 2 year training. Ouch Soeun hired as Local Project Coordinator and introduces new course to student teachers. Partner School concept evolving as the need for physical change in the school environments become necessary to complement pedagogical change. ISPP, Victoria Shanghai Academy, and Ivanhoe Grammar School are first Partners. Ron Auckland and Ouch Soeun host the first Partner School Meeting in Phnom Penh. Queenwood School for Girls attended as observers, and soon join as the fourth Partner School. First renovations of classrooms begin. First cohort of 90 student teachers who have participated in Project, graduate from TTC. Project extended to 2007 to complete the training of the second cohort of student teachers. Since 2006, Partner Schools are regularly sending groups of students, teachers, parents, and alumni to work and teach in the Project schools. New five year MOU Signed between IB and MOEYS 2007-2012. Nin Channan hired as Assistant Project Coordinator. First female student teacher dormitory renovated. First new toilet blocks built. CTTP was recognized at IBAP Regional Conference in Beijing. Ron and Annie Auckland accompanied Ouch Soeun for his major presentation on the Project. Renovations of classrooms and completion of toilet blocks continue. Project mentor teachers conducted workshops for non- Project teachers in the area (sustainability). Project mentor teachers present demonstration lessons in 50 classrooms where first year student teachers practice teach (sustainability). Teacher resource center opens at TTC. Partner School Meeting, hosted by ISPP: 17-18 October, 2011. “The Future of the Project” - current MOU ending 31 August, 2012. 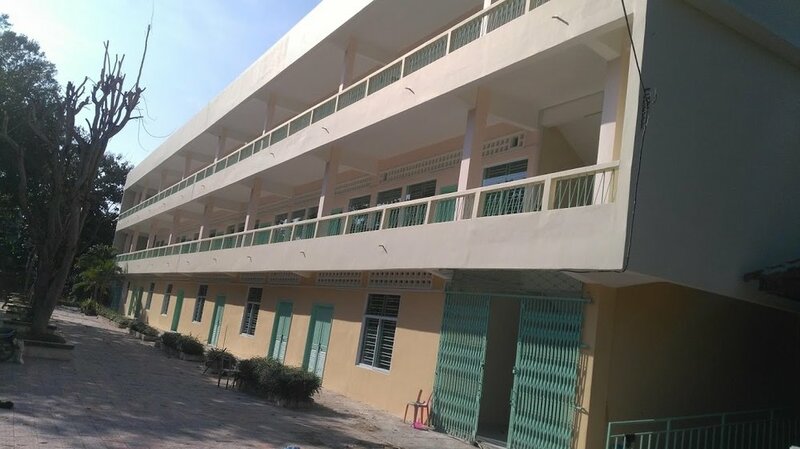 All 7 student teacher dormitories have been renovated. IB withdraws financial support for all IB sponsored projects including CTTP. All 55 classrooms have been renovated. new MOU between MOEYS and the Partner Schools was signed. The Partners agreed to equally donate funds sufficient to ensure operational expenses would be med and the Project could continue. Partnership loses 2 schools, gains Branksome Hall Asia. Budget restrictions limit some programming. 3 year MOU between partner schools and MOEYS, taking the project to 2020. Establishment of Resource Centre with active usage by model teachers, student teachers and teacher trainers. All furniture and materials supported by ISPP and partner schools. Houses teaching materials, core text books from grade 1 to grade 6, English books, material kits for demonstration lessons, study game books, etc. all audiences allowed to lend these materials. Used as a hall by student teachers preparing their teaching materials. Demonstration lessons from Queenwood School for Girls started from 02 to 11 July, 2018. Topics covered included Classroom Management and Formative Assessment strategies. 80 student teachers and 28 model teachers participated while pupils from grade 3 to 5 were selected for demonstration lesson. A group of 12 teachers and parents and 65 students from Ivanhoe Grammar School visited our 3 primary schools (Kampongsamnah, Krapeuha and Prek Tapov). They participated in repainting these schools. Enrolment Campaign 2018: To enhance the quality of education as well as to share the education situation in Kandal province, CTTP joined the network Provincial Education Sector Working Group (P-ESWG). In this network, we have 12 NGOs as a member and all of them are working in the education sector in Kandal province. On October 18, 2018, this network led an enrolment campaign with participants from pupils of grade 4;5;6, teachers, school's director, village chief, commune council members, DOE Kandal, and police chief. In total, 200 people participated. The campaign went around CTTP schools and then went through five other villages in Kandal Stung district. This campaign aimed to encourage parents to send their children to school. Evaluation of the Demonstration Lesson: With the purpose to get feedback from CTTP student teachers on the Demonstration Lesson, which was conducted by Queenwood School for Girls, we invited 80 student teachers to fill in the survey form. This activity was conducted at the meeting hall of Kandal Teacher Training College. Later on, the data was generated and it found that this demonstration lesson was very useful. At least 85% of respondents committed to apply all the strategies that was introduced by Queenwood. During the seminar with our student teachers, we introduced to them how to play an educational game with pupils, this game is particularly to be played during break time or in group work discussions. The aim of this game is to strengthen knowledge in mathematical calculation skills like summation, subtraction, production, and division. And it can be played with pupils of all levels from Grade 1 to Grade 6. CTTP School’s new academic year started in November after a holiday for 2 months break. In this year, CTTP is going to work with 156 student teachers and 4,035 pupils who are studying from Grade 1 to 6. In early December, 2018, there were 15 students from Queenwood School who visited CTTP schools, at the same time they taught lessons on the solar system to our students. Our CTTP dormitory renovation has been completed, the student teachers are very happy with their new house. There are at least 20 student teachers staying in each room. We would like to thank all supporters for trying their best to support CTTP so far. Over the years (since 2004), several International Baccalaureate (IB) schools have served as Partner Schools - International School of Phnom Penh (ISPP), Victoria Shanghai Academy, Hong Kong; and Branksome Hall, Toronto. Presently, there are four IB Partner Schools sharing this role - ISPP. Branksome Hall Asia, Queenwood School for Girls, Sydney and Renaissance College, Hong Kong. 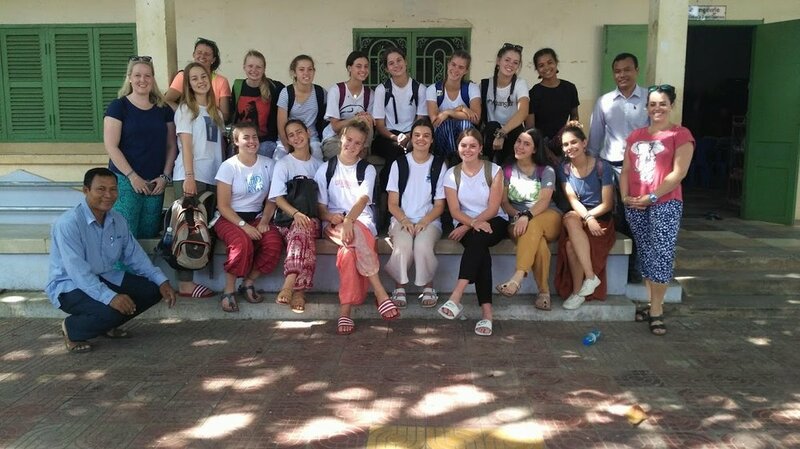 They also raise funds for school physical improvements, send teachers to teach demonstration lessons and bring students to interact with their Khmer counterparts. Ivanhoe Grammar continues to support CTTP through the funding of teacher starter kits. Rotary of Matilda Bay, Perth Australia is also a financial supporter of CTTP.